Enforcement actions against corporate involvement in money laundering have come back in a big way, snaring such banks as Wachovia and HSBC. The complexity and stealthy nature of money laundering requires companies to implement and maintain an anti-money laundering capability with lots of moving parts, all working together. Anti-money laundering programs require participation from several facets of the organization, including compliance, risk-management, audit, IT, and others. Getting these groups to come together to leverage their individual capabilities toward a common cause is a realizable, but challenging goal. Hence we welcome you to our “Anti-Money Laundering” publication. Here you will find all those articles, plus the roundtable discussions OCEG has run about AML programs with chief compliance officers and other compliance thinkers, plus OCEG’s famed illustrations: double-page spreads you can print out, stare at, and contemplate as you structure your own AML program. Each article also has an accompanying illustration. We know the images are somewhat abstract, and have a certain flowchart appeal to them. That’s intentional. Successful AML consists of several basic principles that can apply to all, and several small details that apply to your business alone. The illustrations capture those basic principles; the articles provide context; the details we leave to you, since only you know what compliance program will work best at your business. 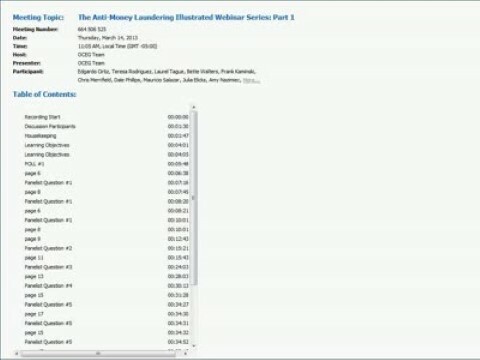 We hope you find our anti-money laundering e-Book useful as you continue to develop and implement a robust AML program. The cliché is that a picture speaks 1,000 words. Considering the huge and diverse audiences a chief compliance officer must reach these days, and the complex subject matter, visualization can only help. 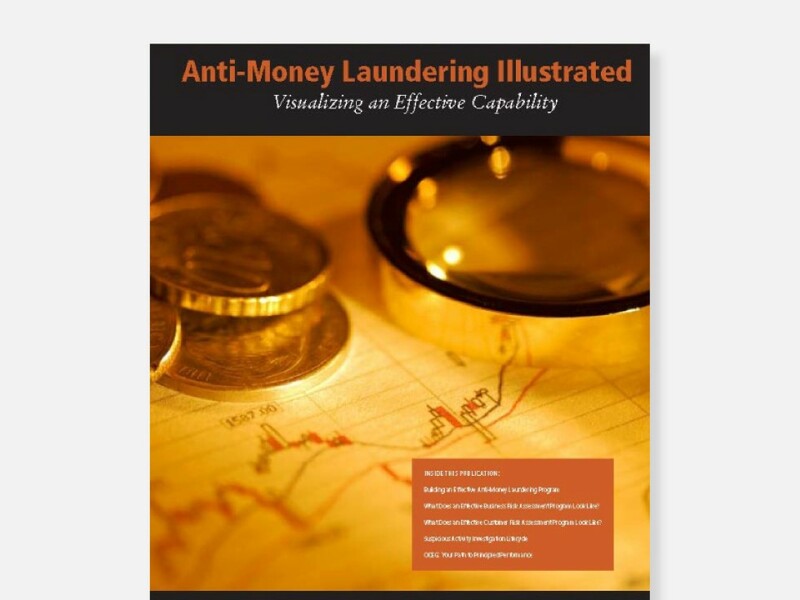 We have emailed instructions to access Anti-Money Laundering Illustrated (eBook) to . Make sure the email arrives in your inbox: either add "support@oceg.org" as a safe sender to your email platform, or if you use Gmail, drag our email into your Primary tab.